This year marks 100 years since women were first admitted into the Architectural Association School in London (the AA), a major step forward for women in the profession and a key part of the history of 20th and 21st century architecture in both Britain and the wider world. Over the last four years, Dr Elizabeth Darling, Reader in Architectural History at Oxford Brookes University has been working on a major project to tell this story, including a newly launched exhibition at the AA and a new book. 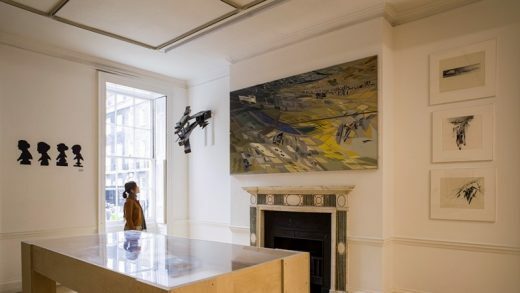 Dr Elizabeth Darling, a leading figure in the field of gender and architecture history in the UK, said: “From the first students admitted in 1917, their training and early work, to the significant and diverse contributions have women made to the globalisation of architectural practice and production, the history of women at the AA is fascinating. The new exhibition AA Women in Architecture 1917-2017 is on display at the AA until 9 December. The exhibition opens by documenting the first four women to join the school in 1917 and the first building to be designed by an AA woman, a village hall in the East Sussex countryside. Then, through a series of themed displays, it examines the graduates of the 30s, 40s and 50s, who shaped the architectural environment of the Welfare state, including Judith Ledeboer, Jane Drew and Mary Medd; the architectural partnerships that have been a characteristic of 20th-century practice, and the global reach of the AA, both in terms of its students and where AA women practise, particularly focussing on the work of Dame Zaha Hadid and Amanda Levete. There is also an opportunity to consider AA graduates who took different, though equally influential, paths, such as Carmen Dillon, Oscar-winning art director, journalists Katharine Whitehorn, Janet Street-Porter and Diana Rowntree, and furniture and textile designers including Marian Pepler and Florence Knoll. The new exhibition was curated by Dr Darling together with Dr Lynne Walker from the Institute of Historical Research at the University of London, in collaboration with the AA and designed by Eva Jiricna and Georgina Papathanasiou. Accompanying the new exhibition is the major publication edited by Dr Darling and Dr Walker, AA Women in Architecture 1917-2017 (AA Publications 2017). This richly illustrated, critical and historical collection features a wide range of contributors and offers an historical account of women’s presence at the AA.